Positive new update (Sept. 16, 2016): In a surprise move, BMI’s rate court judge Louis Stanton has issued an order rejecting the U.S. Department of Justice’s recent interpretation of the BMI consent decree, and concluded that BMI is free to engage in the fractional licensing of musical works. The DOJ’s controversial announcement in June threatened to create a chaotic situation which would have made it extremely difficult for music publishers to efficiently license their songs to users. Here’s the original article which was posted on August 31, 2016. Earlier this summer, the Department of Justice announced their ruling on the consent decrees which govern the performing rights organizations, ASCAP and BMI. This was a highly anticipated ruling, and the music industry was hoping the DOJ’s decision would have a positive outcome, allowing songwriters & music publishers to negotiate higher royalty rates from music streaming companies such as Spotify, Apple Music, Pandora, Google, Amazon and Tidal. However, the DOJ’s decision was disappointing on two fronts. First, they decided not to eliminate or alter the consent decrees, which were established in 1941 (many decades before the digital music era). As a result, songwriters & music publishers remain restricted in their pursuit of higher royalties to offset the diminished royalties from iTunes and CD sales. To worsen matters, the DOJ also announced that they interpreted the consent decrees to now demand that all works must be licensed on a 100% basis, meaning that the traditional and logical practice of fractional licensing by ASCAP and BMI will be done away with. Under this 100% licensing ruling, if a licensee clears a track with one songwriter, it doesn’t need to bother doing so with his or her co-writers or publishers. This would create uncertainty and chaos in the marketplace, disrupting a licensing system which has worked well for decades. 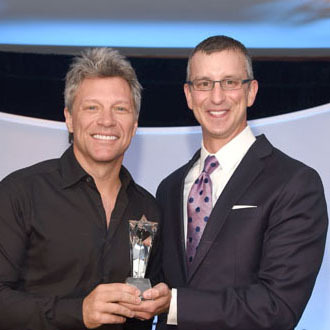 With all of these new developments, we thought it was a good time to speak with David Israelite, President & CEO of the National Music Publishers Association (NMPA). Israelite is one of the top music execs leading the way in the battle for music publishers & songwriters to be paid fairly from all revenue sources. In this new Q&A interview, Israelite answers the key questions which are on the minds of songwriters & music publishers. DK: Earlier this summer, the Department of Justice made the surprising and disappointing decision to not eliminate or alter the consent decrees which govern ASCAP and BMI. Looking at it from the DOJ’s perspective, why do you think they decided not to change the consent decrees? 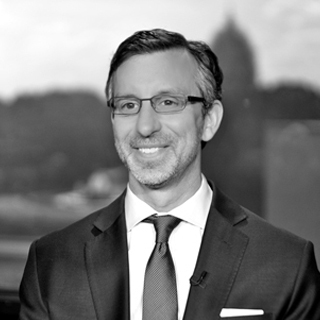 David Israelite: DOJ chose the path of least resistance for Big Tech. This decision was a gift to the multi-billion dollar companies who lobbied aggressively not only to keep the current decrees in place, but to make life even easier for them by implementing their unprecedented “100 percent licensing” interpretation. After a two year review, career lawyers who were never elected nor confirmed to their positions, led by a lawyer who previously represented Google, determined that songwriters should have even fewer rights, less control over their intellectual property and be treated more unfairly than they already are. The Department ignored the voices of copyright experts, members of Congress and thousands of songwriters and bowed to tech companies who already benefit from egregiously low rates. DK: In addition, the DOJ has also interpreted those decrees to demand that all works must be licensed on a 100% basis, meaning that the traditional and logical practice of fractional licensing by ASCAP and BMI will be done away with. Please explain how this practice has worked, and why the DOJ’s new ruling is harmful. Additionally, the decision threatens transparency because while songwriters may have chosen to join one PRO, now their payments may be coming from another. And if each PRO can license an entire song, even if it only controls a small portion of it, then licensees may have the ability to license where rates are lowest in a royalty race-to-the-bottom. The good news is that DOJ’s decision is being vigorously challenged by the PRO’s on two fronts. Immediately after the decision was handed down, BMI announced they would be launching a legal war to challenge the determination and ASCAP announced they would attack the decision on the legislative front. Both moved swiftly and seriously to do everything possible to push back. DK: Can songwriters & music publishers partially offset the DOJ’s ruling by making inroads in other ways? With the Copyright Royalty Board proceedings coming up, can songwriters & publishers push to secure a higher, mechanical royalty rate from the CRB? Israelite: NMPA is doing everything possible to secure the highest rates possible in the upcoming CRB proceedings for years 2018-2022. We have already negotiated a deal with every major and independent record label except Sony Music. Their hostile posture towards songwriters in this CRB is doubly concerning considering the blow songwriters were just handed from DOJ. We have never needed a united music industry more than we do now, and songwriters have never had more to lose. DK: I read that the Sony Music label group is currently lobbying against songwriters & publishers, proposing to reduce mechanical royalty rates. Is this correct? Why is Sony apparently taking a different position than the other major labels? Israelite: Correct—Sony has made the unprecedented and aggressive move of entering into these negotiations to try to lower how much songwriters are paid. Their strategy is dubious. They will say publicly that they are trying to raise the headline rate paid to songwriters, but that’s a clever decoy. While the specific details of their proposal are confidential, I can give you this example. If a worker has a salary of $50,000, and also gets a bonus, healthcare, and 401K contributions from the company, and if the worker’s salary is bumped to $52,000 but the company eliminates paying the employee’s healthcare, its contribution to the 401K and the bonus, the company can try and deceive people by saying they gave the worker a raise, but the totality of the package is worse than before. This is essentially what Sony is seeking to do to songwriters. DK: Are there new developments with the Songwriter Equity Act? When the new Congress convenes in January, can legislation move forward which would lead to higher royalties for songwriters? Could this legislation include overriding the DOJ’s ruling on the consent decrees? 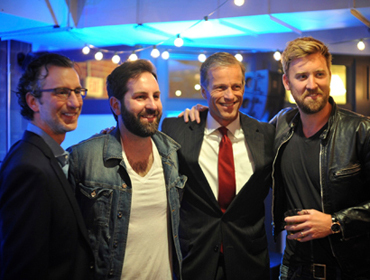 Pictured (l-r): David Israelite, Josh Kelley, Senator John Thune of South Dakota, and Charles Kelley (of Lady Antebellum). Israelite: The bipartisan Songwriter Equity Act has 40 cosponsors in the House and Senate, and it would help improve songwriters’ compensation by applying a fair market standard to mechanical rate setting proceedings and help judges look at other, more accurate benchmarks when setting performance rates. It will not solve all of songwriter’s problems, but it is a great step towards getting them paid fairly. In the wake of DOJ’s ruling there are heroic members of Congress who recognize the unfair playing field that the decision exacerbates and are exploring legislative options to remedy some of the problems DOJ has created, however this would likely be a separate piece of legislation. DK: I read that the number of subscribers who pay for Spotify and Apple Music is increasing (approximately 39 million paying Spotify subscribers, and 17 million paying Apple Music subscribers). If this upward trend continues, can the number of paying subscribers allow more songwriters to make a living, even if royalty rates remain unfair? Israelite: I have been encouraged to see subscription-based streaming actually contribute to growing the industry—but we have a long way to go. Moving users toward on-demand subscription-based models is a positive step, because when consumers pay for music, songwriters are paid more fairly. We should do everything possible to encourage consumers to pay for streaming as opposed to using the freemium tier—which will not sustain music creators and encourages the false premise that music can and should be free. While we do not know if subscriptions will be enough to sustain the songwriting industry long term—it is certainly a step in the right direction. DK: Regarding YouTube, labels, publishers, artists and songwriters all seem to agree that YouTube is not paying sufficient royalties. Can lobbying by the music industry lead to higher royalties from YouTube? Israelite: Earlier this year, Irving Azoff started a major campaign to make it clear that YouTube—which of course is owned by Google—isn’t paying enough, isn’t giving artists enough say in how their music is accessed, and isn’t doing enough to combat piracy. I think that his coalition—which includes NMPA—made a big impression. It brought YouTube back into the spotlight and there now is major pressure to force the service to do better. We don’t know what the future holds, but when Irving and the industry speak, people listen. DK: With the current situation, what can songwriters & music publishers do to take a proactive stance, to lobby and fight for higher royalties? Israelite: When songwriters—who are the most skilled at sending a message—make their voices heard, music lovers from Nashville to Washington will pay attention. NMPA has a standing invitation for writers to join us on Capitol Hill to show the people in power just how much creators are suffering. This road will not be easy or fast, but if we have music makers on our side, we will be heard.